The Cayman Islands have long been known for their fine, white sand beaches, friendly locals and beautiful weather year-round. Of course, there are endless options when planning a trip to the Caribbean, but if you’re looking for a destination that may just leave you breathless, Cayman Islands is a place you can always find it. One could talk for ages about the endless things to do and see, but simply put; there is none who does luxury quite like Cayman. Wake up to breathtaking views of the crystal blue waters accompanied by a warm breeze sweeping through the Caribbean trees, as you get ready for your tour of the great Stingray City, sink your feet into the soft white sand, and experience the true decadence of the island’s fine dining. Apart from the famous Seven Mile Beach, known by many as one of the world’s most beautiful beaches in the world, there is The Ritz-Carlton of Grand Cayman which is situated right on the heart of it. 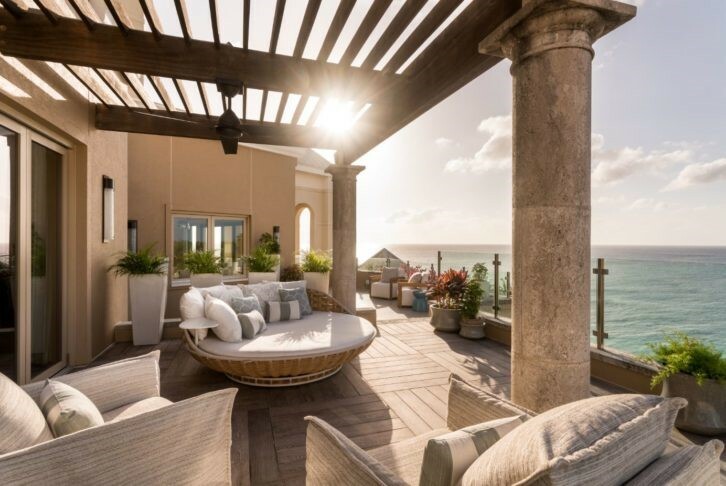 Despite the islands natural beauty, The Ritz-Carlton Grand Cayman manages to elevate this luxurious island to an even higher level. With over six restaurants, a relaxing spa, a family friendly waterpark, and two outdoor pools. The resort also has its very own 9-hole golf course, tennis and a basketball court. Word of adding the up-and-coming sport “Pickleball” is also in the works, but what makes this resort so magnificent is the undeniable cuisine, luxury rooms and suites, and unmatchable VIP service from the team. There are a lot of places to see and people to meet, and whether you know exactly what you want, or simply have the incurable travel bug, The Luxury Travel Agency will show you why and how planning your next luxury journey with us is full of rewarding experiences. Plan your next luxury journey, honeymoon or getaway at The Ritz-Carlton Grand Cayman and receive 25% off your stay when you book four or more nights through The Luxury Travel Agency, now through December 15, 2018. Stay though us and also receive VIP service, upgrade upon arrival (subject to availability), complimentary Wi-Fi, daily resort credit and much more. For more information on this property click here, or give us a call (+1 647 551 5460) or email Reservations@TheLuxuryTravelAgency.com and tell us your dream travel ideas and one of our travel experts will make it possible, because we know luxury travel has no limits and we stop at nothing to create the perfect travel experience tailored just for you. See our complete list of Partner Hotels in the Caribbean and Bermuda, and lets start planning your next get away!